Various parts of the districts especially the parts of Terai region has been severely affected due to the incessant rain fall for the last four days. The rivers and cannels of the district were flooded resulting a disaster in the area. The regional office said that the flood has claimed lives of many people along with the destruction of property. According to the Rautahat District Representative Bipin Gautam, the normal lives of the people has been severely affected by the incessant rainfall for the last four days. Six members of the same family died after the ambulance carrying a pregnant woman drown in a ditch due to the flood. Sharmila Yadav, 28 of Paroha Village Council-3, wife of Chandan Yadav was rushed to the hospital at Rajpur Farhadabad in an ambulance after she suffered from a labor pain. Six people were killed after the ambulance fell down in a ditch filled with water. The deceased were Sharmila Yadav, 28, Sumitra Devi, Chotu Kumari,5, Saroja and Lalita Devi according to DPO Rautahat. There is a food, medicine and water crisis in flood affected area. The district headquarter of Gaur has a water level raised up to seven foot and there has been shortage in water and food. The condition of patients in District Hospital is pathetic as flood enters into the hospital. The administration is facing difficulty on managing patients in ground floor as water enters in the ground floor. All education institutions and organizations of the district are closed after the flood due to the incessant rainfall for the last four days in eastern region of the country. The schools in Chandranigahapur, which do not have flood effect, are also closed. According to the INSEC district Representative Santosh Singh of Sarlahi, at least three people are killed and one is unaccountable. Hari Bahadur Subedi, 85 of Hariban Municipality-8, School tole died after he was swept away by the flood in Bagmati River. His body was recovered from near the Bagmati Bridge in Kamaiya. Prior to this, 75 years old Kishori Rai died after her house collapsed in Dhankaul Village Council-1 due to the flood. Similarly, 17 years old Rakesh Kumar Shah of Barahathawa Municipality-10 died after he was swept away by the flood. One unidentified body is also recovered from the bank of Bagmati River. One person in Haripur is disappeared after he was swept away by the flood in Lakhandehi River. Bhukul Kunwar, 50 of Haripur Municipality-8 is missing after he was swept away by the flood according to Area Police Office of Haripur. The victim was swept away along with his hut. The transportation service has been disrupted in Sagarnath section at east-western highway. At least 10 feet of road has been swept away by the flood. Thousands of passengers are stranded in the jungle after the disruption in transportation. The Chief District Officer (CDO), Pradeep Raj Kandel said that rescue and relief operation has been provided at severely affected area such as Chataul, Khutauna, Sakraul, Khairba and Phulparasi. In some places, cultivating land are swept away by the flood. According to Dhanusha representative Binod Kumar Rabidas, the normal lives of the people has been severely affected by the flood followed by the incessant rainfall for the last four days. The majority part of eastern and southern part of the district is flooded and water has entered in 75% of the houses. All education institutions have been closed and transportation has been disrupted in affected ares. Majority of the cultivating fields are under water and many houses in Dalit area has been collapsed. The incessant rain has severely affected Kiratpur, Parasahi, Sabaila, Paterba, Thilla, Bhathihan, Machijhitkaiya, Terha, Harine, Hathmunda, Sigyahi Nadan, Saghara, Lakkad, Kathal and Sarawe. The transportation has been disrupted after roads are flooded up to two feet. The lives of the people are in crisis after water enters into their houses. Janakpur hospital is flooded due to the flood followed by the incessant rain over the past four days. The hospital management is facing difficulties on treating their patients. According to Chitwan District Representative Deependra Adhikari, at least three people are killed after they were swept away by the flood. 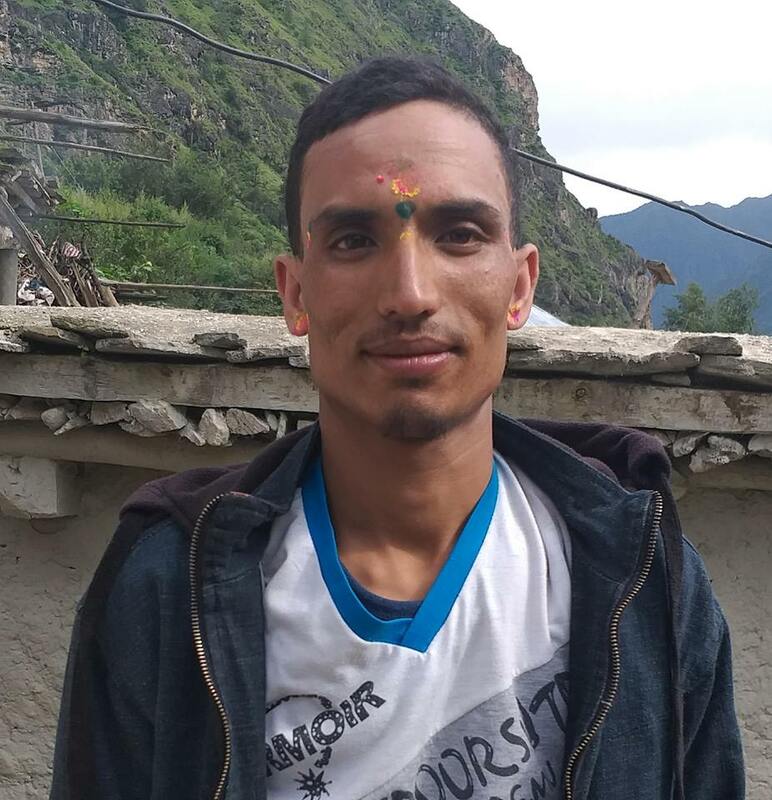 Saman bahadur Praja, alias Kamal of Icchakamana Village Council-3 died after he was swept away by the river. His body was recovered on August 13 according to the police. Similarly, 40 years old woman died after she was swept away by the flood in Pampha River at Rapti Municipality-8. In Pyari Dhap of Rapti-6, one 74 years old woman died after her house was collapsed due to the incessant rain. The army chopper has rescued children stranded due to the flood in Rapti river on August 13. Children from Asha Children Shelter were rescued after their shelter was flooded by the flood in Rapti river. There were about 250 children in a shelter. The chopper has rescued 400 locals along with 250 children. Meanwhile, the Bharatpur Hospital is facing difficulties after the hospital is flooded since Friday. Patients are facing difficulties and their helpers and relatives are not being able to buy food or medicine. The flood victims in Madi of Chitwan are getting ill according to the ward chairperson Puran Chaudhary of Ratani Dhowaha-3. Locals are falling ill due to the lack of clean drinking water and food. However, Vice-mayor Tara Mahato said that the health service management has been made in the affected area. A Chepang couple at Rapti Municipality-13 has died after they were swept away by the landslide. The deceased has been identified as 50 years old Rana Bahadur Chepang and his wife 48 years old Mauri Maya Chepang. According to Mahottari District Representative Ajaya Kumar Singh, at least three people were killed after they were swept away by the flood. On August 13, Shiva Mahara, 65 of Jaleshwor-8 died in a flood. He was swept away and disappeared in a flood while going to his daughter’s house. His body was found next day on August 14 according to District Police Office. Similarly, Indal Mahara, 35 of Loharpatti-1 died while he was catching fish in a river. He was swept away by the river. Similarly, 15 years old Bikki Thakur of Jaleshowr-2 was swept away by the flood according to District Police Office. At least 70% houses are severely affected by the flood in Mahottari. The transportation service has been disrupted and commuters are stranded on the way. More than 15 health organizations of the district are flooded and medicine worth 4 million have been destroyed. There has been medicine, water and food crunch in these area. In Mahottari, 200 houses are completely collapsed and 500 are partially damaged. All schools have been closed in the district. District Police Office, prison, District Court, District Administration Office, animal office including dozen of organizations have been severely affected by the flood. The electricity, internet and telephone service in the area has been completely disrupted. The inmates and prisoners in Jaleshwor prison are compelled to starve for the last three days due to the result of incessant rain followed by flood. At about five feet water has entered into the prison. There are 382 inmates and detainees in the prison which has capacity to accommodate only 135 inmates. Among them 40 are women and two children. Inmates are facing difficulties on going to the toilet as the water level has raised up to five feet. They are facing difficulties in clean drinking water along with food. The inmates complained that none of the bodies have come to ask them about the food as they are starving for the last three days. The prison chief Sovendra Thakur said that inmates are facing difficulties as water entered into the prison and they are compelled to go to the roof top. He added that there might be possibility of spreading epidemic due to the flood. According to the Bara district Representative Laxmi Sonar, two people were killed after the house collapsed on August 12. A 70 years old elderly person died after the flood in Jamuni River. He was living in elderly house shelter at Kotwal Village Council-9. On a same day, 45 years old Gahani Devi Paswan, wife of Ram Bilas Paswan of Simraungadh-8 died after their house collapsed followed by heavy rainfall. According to SP Raj Kumar Baidhawar more than 20,000 families have been displaced due to the disaster. According to the Chief District Officer Bijaya Narayan Manandhar, relief has been provided to more than 1500 victims.